ChargeIt by Jay Silver Circus Glass Charger Plate 13"
Home > Products > ChargeIt by Jay Silver Circus Glass Charger Plate 13"
Provide a sophisticated and elegant backdrop for your specialty dishes with the ChargeIt by Jay Circus Silver Glitter Glass Charger Plate. 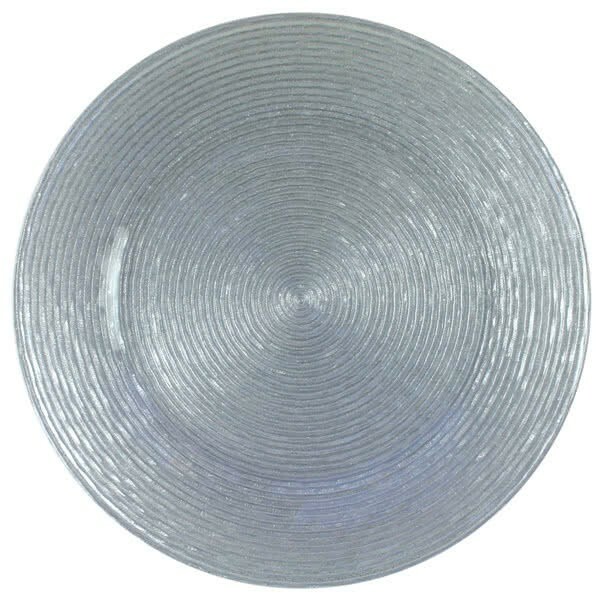 Beautifully accented with mesmerizing rings, this lustrous silver charger plate looks great beneath dinner plates, platters, and bowls. Exquisitely made from glass, this premium quality charger boasts superior craftsmanship with a delicate look and exceptional durability. Combining style and functionality, this charger plate adds a sophisticated visual flair to any table setting and protects against spills and mess. Clean up is a breeze with this charger plate. Simply hand wash in warm water, dry, and store.